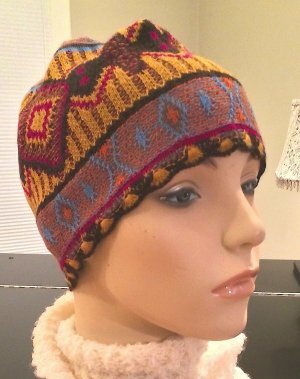 100% Baby Alpaca, this hat is stylish, super lightweight, yet warm. This topper is ready to travel. Very easy to keep on hand to have just when you need it. Bright geometric patterns catch everyone's eye. Sizing: One size fits most adults/teens.